Argentina is one of South America’s great horse and cattle producing countries. The vast plains of the Pampas extend westward across central Argentina from the Atlantic Ocean to the Andean foothills and are home to the country’s legendary gauchos. Among this hardy group are a small number who practice the art of ‘horse whispering’, a strange and almost mystical way to tame and train horses. In Argentina this technique is known as ‘Doma India’. The term refers to the method of taming a horse according to its nature, avoiding fear and pain, and by earning its trust and loyalty. While techniques vary a little, generally they share the principle of developing a rapport with the horse, using communication techniques derived from the observation of free-roaming horses and rejecting more abusive training methods. 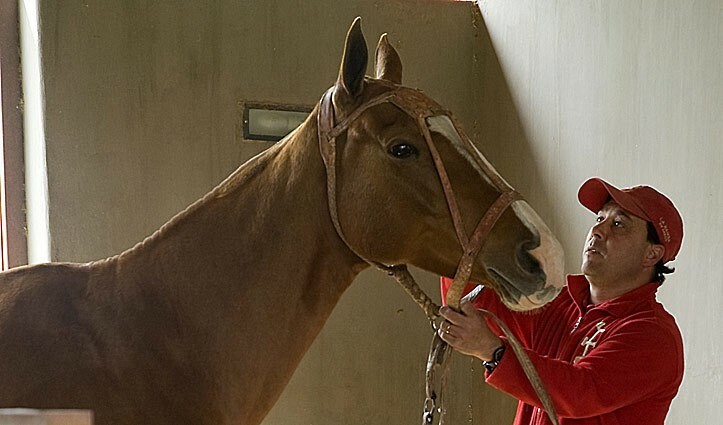 Gentle, repetitive, persuasive techniques help build up trust between the rider and horse. 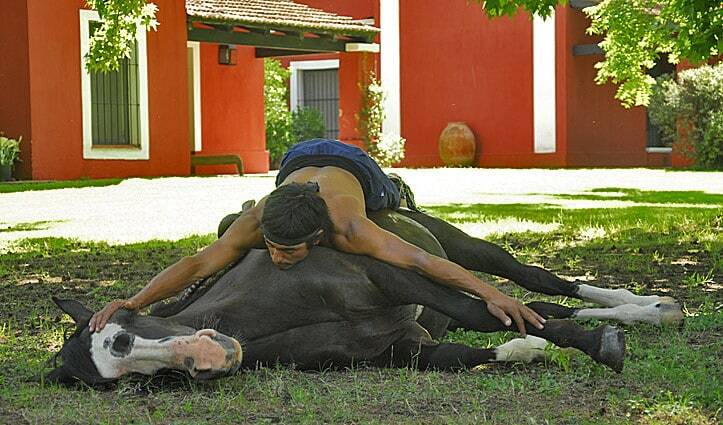 As the gaucho enters the arena they apply gentle pressure to the horse and it lies down effortlessly on the ground. They then move to the horse’s head, laying alongside and gently stroking its face and breathing into its nostrils. The animal is totally at ease, calm and trance-like. The horse is then rolled onto its back with its legs in the air and the rider climbs gently onto the horse’s stomach. The demonstration continues for almost 10 minutes. Finally the horse returns to all fours and, with a last crawl through between the horse’s legs, the rider springs lightly into the saddle and rides off. From Buenos Aires it is only a 90-minute drive to Estancia La Bamba de Areco where you can witness firsthand the ‘Doma India’ method. 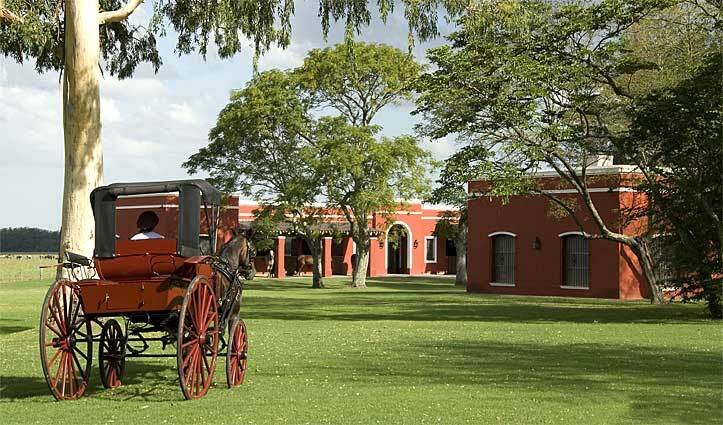 This luxury estancia in the heart of the Pampa offers all-inclusive stays – all meals, drinks and activities. The chef ensures that gastronomy and the wines selected to accompany your lunch and dinner will add another dimension to your time here – and possibly also to your waistline! La Bamba, whose origins date back to 1830 when it formed one of a chain of post houses on El Camino Real (the Royal Road) that linked Buenos Aires to the north of the country, is one of the oldest of Argentina’s colonial-style estancias. Transformed into an estancia in the early 20th century, it retained its name, derived from the Celtic word ‘Bahamba’ meaning “place of rest and hospitality”, and was one of the first estancias to open its doors to the public in the 1980s. In 2009 La Bamba was meticulously renovated, adhering to pure colonial tradition, and has regained its exceptional charm and original grandeur. Today La Bamba de Areco also serves as the base for the international polo team that bears its name (each of the 11 rooms and suites are named for a famous polo horse). The property includes two polo fields and guests may have the chance to watch games during the season (Sep to Apr), with practice sessions and matches taking place almost daily. San Antonio de Areco, one of the oldest towns in Argentina, is located only 13km away and invites you back into the 18th century with its narrow colonial streets, church, bars and museums.